Are you looking for ways to fund a small project that encourages students to walk or bike to school? If so, Healthy Community Development (HCD) grants may be just the solution you need. What are Healthy Community Development grants? The grant operates under the principle that altering the physical environment will encourage people to make healthier decisions and lead a more active lifestyle. The goal – make the healthy choice the easy choice. Moreover, the grants are issued as “seed” money. Grants range from $2500 – $10,000. The grants act as a catalyst with the hope of giving organizations leverage to attract grants from other community resources. To date, 87 grants totaling to $300,000 have been issued. Both public and private non-profit organizations (schools, hospitals, municipalities, health groups etc.) are eligible to apply. Applications are to be presented in collaboration with at least one other public or private entity, and only one award will be allotted within each municipality. Plan ahead. Because it often takes a while for the grant to go through the review process, you need to make sure beforehand that there are several people or groups committed to seeing the project go through once funds are awarded. Ask for help! Staff at your local Transportation Management Association (TMA) has a lot of experience with bicycle and pedestrian programs and are a great resource. The Boys and Girls Club of Garfield has been using HCD funds since 2006 to further develop their local Fitness, Unity, Nutrition (FUN) program. Specific activities in the FUN program include GIS community mapping, walkability audits and gardening. 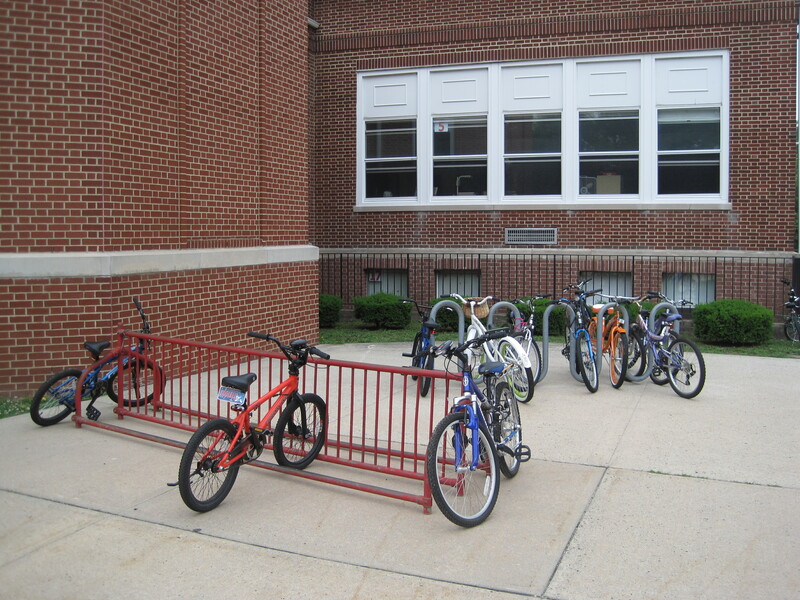 Under a 2010 HCD grant, Edgemont Montessori School of Montclair installed Boltage, a radio frequency identification system that tracks the number of miles students walk or bike to school. The program has had enormous success in encouraging families to use active transit around their community. The Township of Ocean used HCD funds to conduct walkability audits around the school during Walk to School Day. The Township of Ocean applied HCD funds to install bike racks throughout their municipality. The East Coast Greenway used HCD funds to initiate a walking school bus program at Hawthorne Elementary in Newark. Walk Ocean Township utilized HCD funds to HCD funds to coordinate with local business and senior communities to encourage more walking. Though not required, applicants are encouraged to attend the 4th Leaders’ Academy for Healthy Community Developmentheld on Friday March 23, 2012 from 8am to 1pm. HCD mini-grants are based on a point system, and attendance to the event by at least three team members will give applicants more points. The skill building workshop is held at the RWJ Hamilton Center for Health & Wellness at 3100 Quakerbridge Road, Mercerville, NJ 08619. To register or find out more about this free seminar on how to promote healthier life choices easier for New Jersey residents, call (609) 292-2209 or e-mail shapingnj.onf@doh.state.nj.us. Registration is required by March 15, 2012 and should include team member names, areas of expertise and contact information (mail, e-mail, and phone number). This entry was posted in Bicycling, Education, Encouragement, Enforcement, Engineering, Funding, Grants, Walking. Bookmark the permalink.